Welcome home! 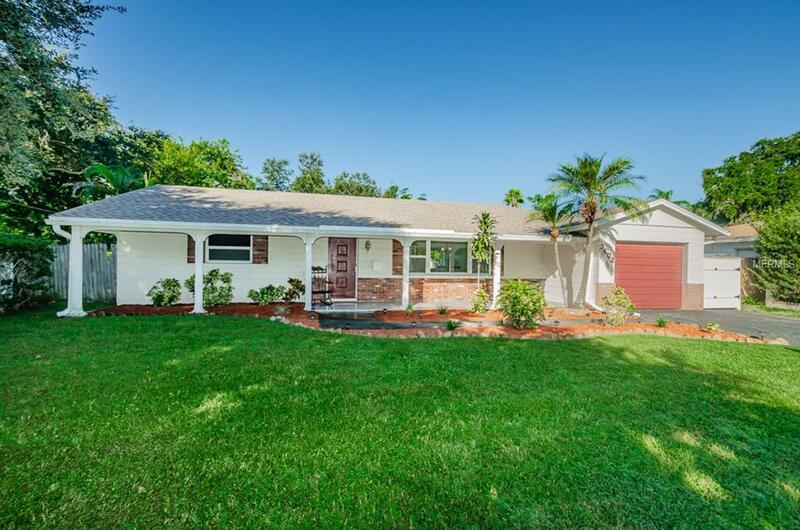 Don't miss out on this over-sized lot in a beautiful and quiet St. Petersburg neighborhood! This split bedroom home has great curb appeal and is complete with an updated kitchen, tons of cabinets, and stainless steel appliances. The updated second bathroom has plenty of gorgeous cabinetry and a jet tub. New roof put on in 2016. Interior has fresh paint and laminate flooring just installed in bedrooms. Home is on a huge lot, just under a quarter of an acre, and is the perfect space for families, entertaining, or a pool, if you wish! Rear neighbors are far from view with a creek behind the property. Centrally located and short drive to downtown, parks, and the beaches! Schedule your showing today before it's gone!